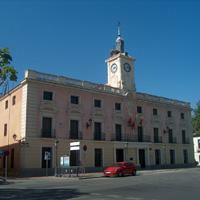 This survey tries to perform an independent study about the intention to vote in the upcoming municipal elections of Alcalá de Henares. You can participate by giving a score from 0 to 10 to each candidate. Also, if you want to, you can make your preference list confidential (nobody can read it but you), private (just for you and your friends) or public (everyone can see it). As more people vote, more representative will be the results of Classora. Since democracy was restored in Spain in 1977, an independent poll of this kind had never been considered. Who do you think is the best candidate for mayor of Donostia-San Sebastián? Who do you think is the best candidate for mayor of Vitoria-Gasteiz?